Survivors of the 1918 influenza pandemic who were infected or exposed to the disease were made immune to the strain for the rest of their lives, according to a new study from the Mount Sinai School of Medicine&apos;s Department of Microbiology. The study, "Neutralizing antibodies derived from the B cells of 1918 influenza pandemic survivors," appears online in the journal Nature. Mice were injected with antibodies produced by cells of the survivors, which protected mice from developing the 1918 infection that killed 50 million people worldwide. Several institutions, including Vanderbilt University, the University of Medicine and Dentistry of New Jersey, the Centers for Disease Control and Prevention and The Scripps Research Institute, collaborated on the study. "Ninety years after survivors encountered the 1918 pandemic influenza virus, we collected antibody-producing B cells from them, and successfully isolated B cells that produce antibodies that block the viral infection," said contributing author Christopher Basler, associate professor of microbiology at Mount Sinai. "The antibodies produced by these cells demonstrated remarkable power to block 1918 flu virus infection in mice, proving that, even nine decades after infection with this virus, survivors retain protection from it." 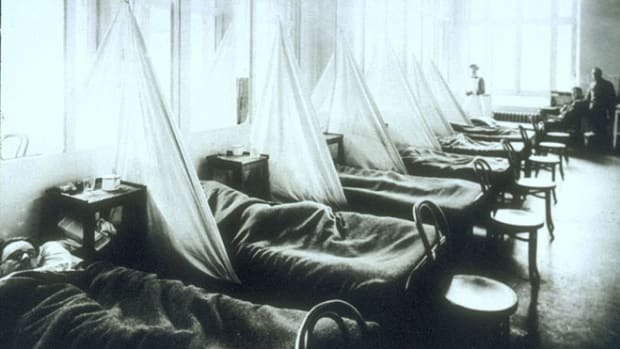 For this study, 32 people who were born before 1918 and lived through the influenza pandemic were recruited to donate blood, which was tested for the presence of antibodies that recognize the 1918 virus. Antibodies from these individuals&apos; blood cells were then tested against the 1918 virus in mice. "Our findings show that survivors of the pandemic have highly effective, virus neutralizing antibodies to this powerful virus, and humans can sustain circulating B memory cells to viruses for up to nice decades after exposure," said Tshidi Tsibane of Mount Sinai. "These findings could serve as potential therapy for another 1918-like virus."